3 days, 18 bottles of juice, and 5 lbs of weight lost. You bet it does! Raw Generation’s Skinny Cleanse is a fantastic delivery juice cleanse offering delicious flavors, maximum nutrition and easy weight loss. A great way to lose weight before a holiday or an event or a great way to regularly lose weight easier than your normal dieting. For the record, I love juicing my own vegetables as much as the next person (probably more) but there’s something about getting all the juice you need delivered straight to your door that’s too easy to pass up. And it always tastes better, I’m not sure how, but making it yourself never seems to taste as good as the bottles you can buy from Raw Generation. Even when you try and recreate it’s never the same. With that said read on for the rest of this Raw Generation review and find out if they’re really worth it. The Skinny cleanse is Raw Generation’s most popular offering and is either a 3-day, 5-day or 7-day juice cleanse designed to help you lose weight quickly. But what makes it so special? I’ll tell you, they use only cold-pressed juices which is ideal because that locks in the most nutrition from the fruits and vegetables and then it’s flash frozen locking in the taste and the nutrients. Flash freezing is a great alternative to pasteurization which causes nutrition to be lost and sometimes involves adding in extra chemicals. Meanwhile, Raw Generations bottles only contain 100% raw ingredients. They’re also not filtered which again maximises nutrition because you sometimes see little bits of fruit and vegetable floating at the bottom. Totally Normal. Just give the bottle a shake before you drink it. The big question, how much weight can you expect to lose on the juice cleanse? Well it varies from person to person of course and on how long you’re doing it for but generally, you can expect to lose 3-5 lbs on the 3-day juice cleanse, 4-6 lbs on the 5-day cleanse and 5-8 lbs on the 7-day cleanse. It depends on your starting weight and what sort of body type you are and things like that, but you can lose weight fast and easily, plus if you continue healthy eating after that weight stays off. One problem is you don’t get any guidance on what order to drink the juices, it’s because you can drink them in any order but all the same I’ll share my favourite routine here after I’ve gone through the list of juices you get with the Raw Generation Skinny Juice Cleanse which you can find here. Ingredients: apple juice, kale juice, spinach juice, collard green juice, lemon juice, and filtered water. This green juice is excellent first thing in the morning and around lunchtime, the greens are full of B vitamins which give you energy and the apple juice helps lower cholesterol and protect your heart. Ingredients: orange juice, carrot juice, lemon juice, ginger juice, and filtered water. This one’s great for the immune system lots of vitamin C in it which helps keep sick bugs away and helps protect your skin from UV damage. The ginger adds some spice so this is a nice mid-morning pick me up. Ingredients: carrot juice, apple juice, beet juice, lemon juice, and filtered water. Beet juice is great for your lungs, a good source of nitrates which help oxygen get around your blood and can improve lung capacity. Possibly one of the stranger tasting ones if you’re not used to eating beetroot already. Ingredients: pineapple juice, cucumber juice, aloe vera juice, and filtered water. As the name suggests this is great for getting you hydrated, you should still be drinking water alongside your juice but if it’s not something you’re good at keeping on top of then this will have you feeling amazing. Ingredients: green apple juice, cucumber juice, celery juice, spinach juice, lemon juice, and filtered water. This is another green juice packed full of goodness that can help detoxify your body and is a natural anti-inflammatory. It’s also still quite sweet tasting for a green juice. 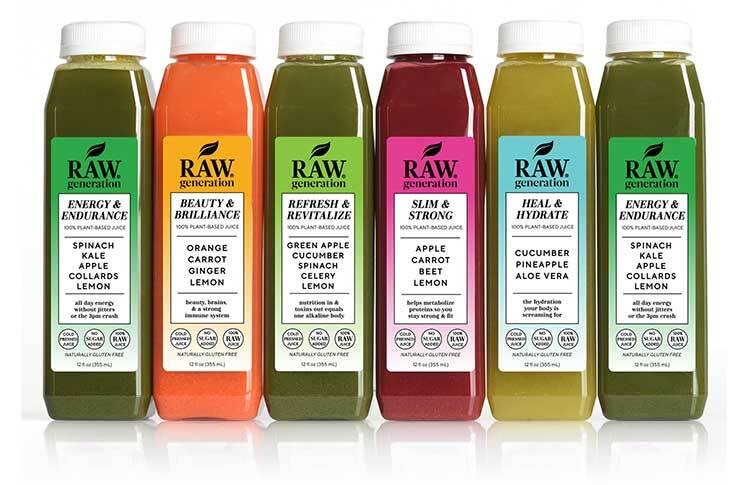 How Do Raw Generation Juices Taste? On the whole, they taste amazing, but I’m a regular juicer, if you’re new to it then it might be a bit surprising to be eating drinking just fruit and vegetables but trust me you’ll get used to it. You’ll find your own rhythm and can drink them in any order but if you want a suggestion I’d say have an Energy and Endurance at 7 am, a Beauty and Brilliance at 10 am, Refresh and Revitalise at 12 pm, your other Energy and Endurance at 2 pm to see you through the end of the day. Then a Slim and strong at 5 pm and Heal and Hydrate at 8 pm for going to be at 10 pm. You can change it as you like but that’ll see you through a regular workday and keep you fueled all night long. If there’s anything there that you can’t face drinking or your allergic don’t worry, you can leave a note in the shipping instructions page of the cart saying you want to substitute. Just be specific and say I don’t want x juice but want y juice instead. And if it’s an allergy state what the allergy is just in case. What good is a review of anything without a Pros and Cons section? Quite expensive, It’s completely worth it in my mind and about the same price as buying the juicer and all the ingredients yourself, but it’s a fair amount of money upfront. You need to stay healthy after – otherwise, the weight will be put back on, you use this cleanse to jump into a healthier lifestyle but it’s up you to keep it that way. But you can, I believe in you. The prices change over time and they regularly have sales on so it’s worth clicking here and heading over to their website to check out the latest prices. The 3 day supply is, of course, the cheapest but consider becoming a regular subscriber if you want to regularly detox and you’ll save yourself some money. 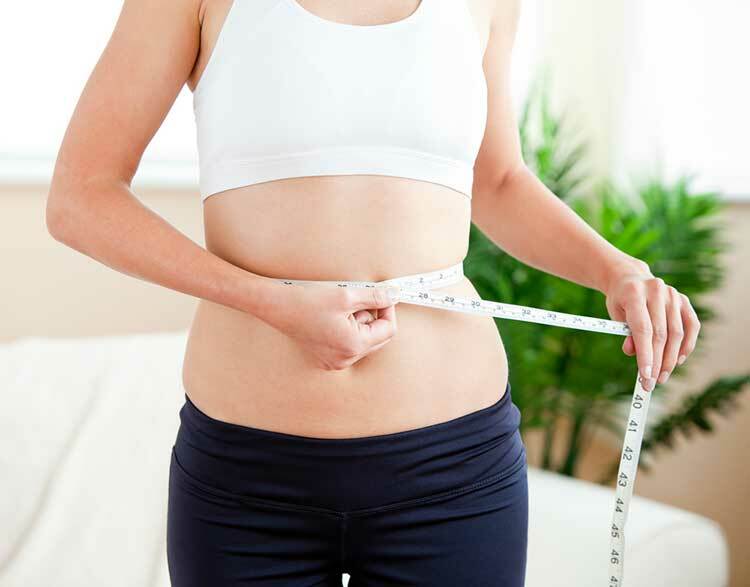 Raw Generation Skinny Cleanse tastes good, great delivery service and it remains one of the easiest and most effective ways to lose weight. 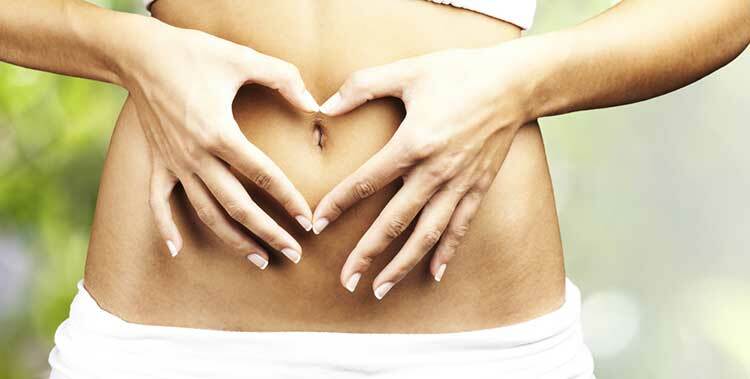 Have it as a way to jump-start a healthier lifestyle and enjoy the skinnier you. Click here to go to Raw Generations Website and Order Yours Today.